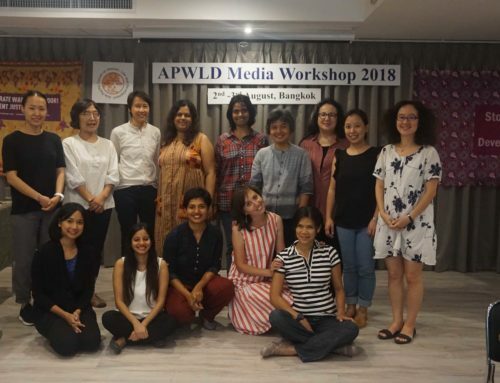 APWLD is offering members a small grant to engage directly with their national government around the implementation of the Beijing Declaration and Platform for Action (BPfA) and the negotiation of the post-2015 development agenda. The negotiation of governments’ priorities for implementation of the BPfA and the adoption of a new development agenda present a critical opportunity to ensure that governments fulfill women’s human rights and commit to Development Justice. APWLD will provide a small grant between USD $3,000 – $3,500 to support national advocacy activities to be fully implemented within March – Early May 2015. 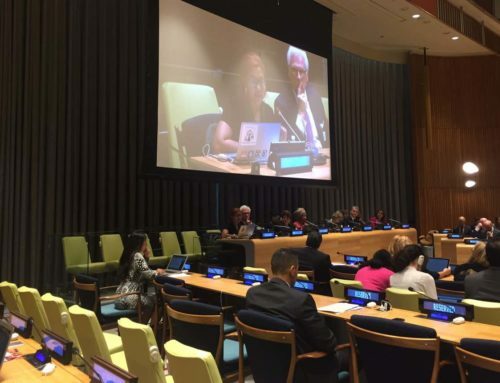 To shape governments’ input into the post-2015 development agenda and the priority issues for women committed to as part of the Beijing+20 review. To advocate 3-5 priority areas for accelerating the implementation of the Beijing Platform for Action. To promote key elements of the Development Justice Framework and ensure that the post-2015 development agenda reflects the concerns and priorities of women in our region. To support women’s rights movements and organizations to engage directly with national governments and policy makers. An example of an advocacy activity that meets these objectives is a one-day consultation with civil society to determine the key priorities for women for implementation of the Beijing Platform for Action and the post-2015 development agenda; followed by a one-day dialogue with key government stakeholders where civil society advocates directly for those priorities. Successful applicants will be given a small grant to cover direct expenses of a National Advocacy Activity. 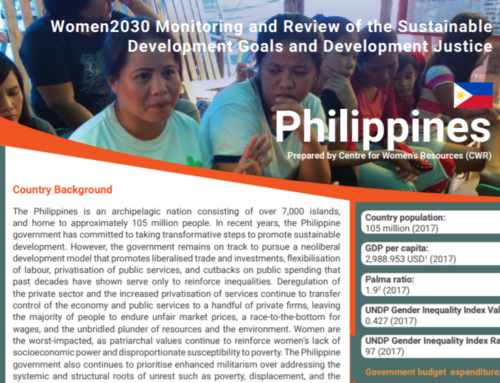 APWLD will provide materials on positions of government and civil society on both the Beijing+20 Review and Post-2015 Sustainable Development agenda. We will also provide Secretariat and technical support, including relevant resource materials such as a sample press release, policy briefers, campaign materials, women’s machinery mapping and template for evaluations. Involvement in the Beijing+20 Review Process and Post-2015 Sustainable Development Goals/Development Justice campaign. Overall proposal must meet the scope and objectives of the National Advocacy Activity and demonstrate organizational capacity to coordinate and conduct the advocacy plan. The Beijing Declaration and Platform for Action (BPfA) was adopted by consensus on 15 September 1995 by 189 countries during the Fourth World Conference on Women, which was held in Beijing, China. It calls for strong commitments and concrete actions on the part of the governments and other institutions to fully realise women’s human rights and gender equality through the implementation of the roadmap set by the BPfA. It has been 20 years since its inception and on March 2015, representatives of member States, civil society organisations, and other stakeholders will gather at CSW in New York to conclude the review process of the BPfA implementation. The second key event is a Global Summit in September at the UN in New York. At the Global Summit, each government will identify 3 to 5 priority areas for accelerating the implementation of the Beijing Platform, and will also make a financial commitment to support those priorities. On September 2015 the United Nations will adopt a new set of goals and targets that will determine global development priorities in the next 15 years. 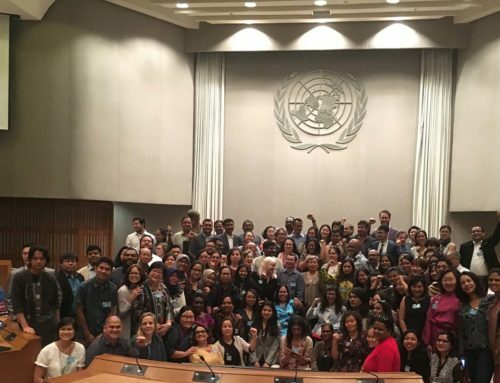 Asia Pacific Forum on Women, Law and Development has been following this process to address the root structural causes of inequality and to secure women’s rights. Governments are still negotiating, and the proposed goals, targets, and indicators continue to be debated. However, the concluding intergovernmental negotiations are scheduled from 20-31st of July. 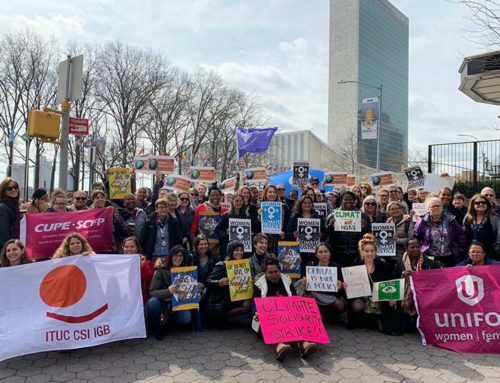 The coming months are critical time for women’s rights movements and organizations to continue our work and strengthen our engagement with our governments to assert our call for Development Justice.